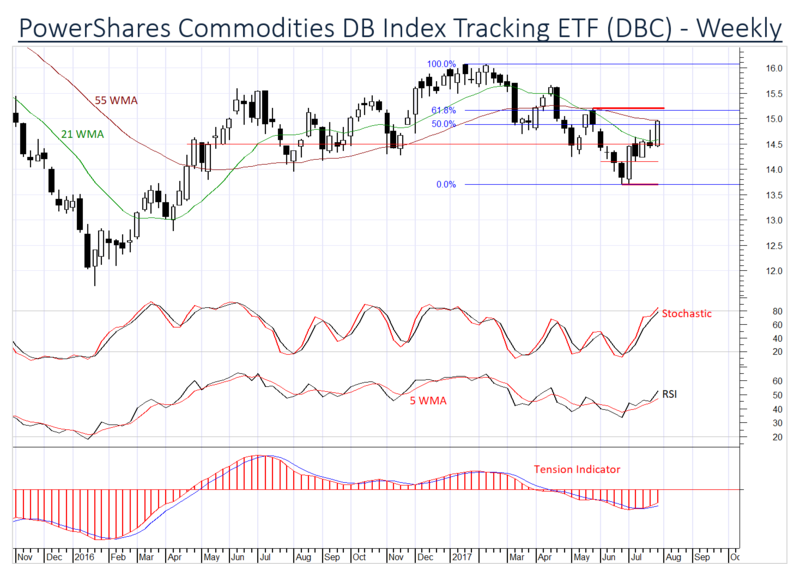 The PowerShares Commodityies ETF (DBC) is reaking higher. Focus is now on the 15.15/25 critical barrier. Improving studies anticipate a later break as sentiment also improves. We Upgrade to Positive as background readings also track higher. 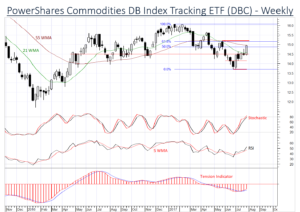 An unexpected close below 14.50 will delay gains and prompt a fresh Downgrade to Neutral.